Can I upgrade a miles partner award leg without cost? I'm a new forum member looking to book an AA rewards flight on Cathay Pacific Business class from LAX to DPS Bali this next summer. It would be a one way flight for 70k miles. Currently the LAX to HKG leg is available in business but the final 5 hour leg HKG to DPS is only available in coach. I believe that AA allows free award ticket changes so long that origin and destination locations stay the same. If award seat availability in business is opened up by Cathay in the future will I be able to snag the seats without cost since I've already booked the full business saver award? Also, is there a way to automate any monitoring for that availability if I'm able to do that? Yes, you'll be able to change the second flight to J without a fee or additional miles if award space opens up. The only way to automate monitoring is through Award Nexus (paid service). 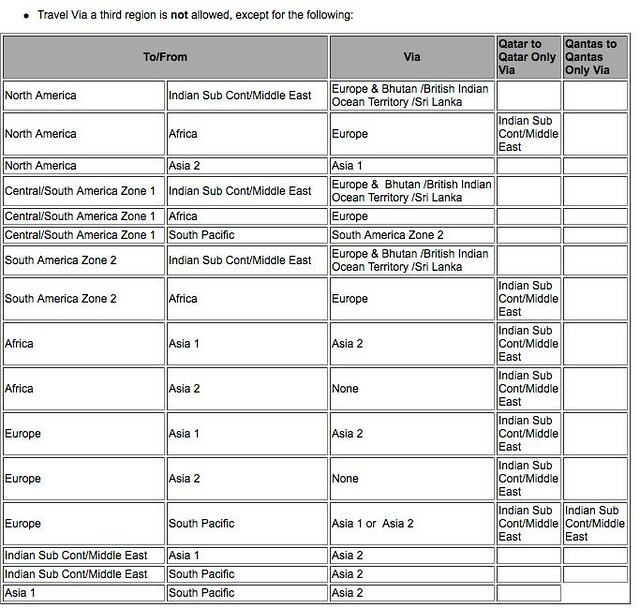 A slight loosening of the rules: On awards to the Indian subcontinent where transpacific routing on AA or CX via HKG is allowed, in addition to CX (Cathay Pacific), 9W (Jet Airways) and UL (Sri Lankan) are all allowed now. So does this mean that it would be possible to change (for example) from a HKG-LAX-BOS itinerary (HKG-LAX on CX) to HKG-BOS without penalty? I have a predevaluation award ticket in F, CLT-LGA/JFK-AUH-BOM. Spending the night (23 hours) in NYC and have a 7 hour layover in AUH where we have friends. Would like to add a segment to the ticket to change the flight to JFK-AUH-DEL-BOM. Does EY have routing rules for JFK-BOM fares? If so, you need to be sure it meets those AND the MPM. If not, I think you're fine. Kind of stuck for choice. Can you suggest any other routes for this journey? You should call AA to find out. Reason being, on a routing DXB-DOH-BKK-HKG, I was told by Dave that it was not in any of QR fare rule and for sure no way I could do DOH-BKK-HKG with CX on the BKK-HKG leg. Not only AA system readily accepted that routing, the itinerary has gone thru date change just recently and is again reticketed without any issue. Got the new tickets within hours of requesting the date change. So the ultimate decision is in the hands of AA rate desk. You should at least call first before immediately rule it out because someone here says so. Why not LHR-CDG-LAX-PPT (on TN) - with LHR-CDG on BA - not sure if it's a valid routing but certainly CDG-LAX-PPT is. What about LON - TYO - PPT, with LON-TYO on JL/BA and TYO-PPT on TN? Neither BA nor JL have fares for LON-PPT. All times are GMT -6. The time now is 1:06 pm.